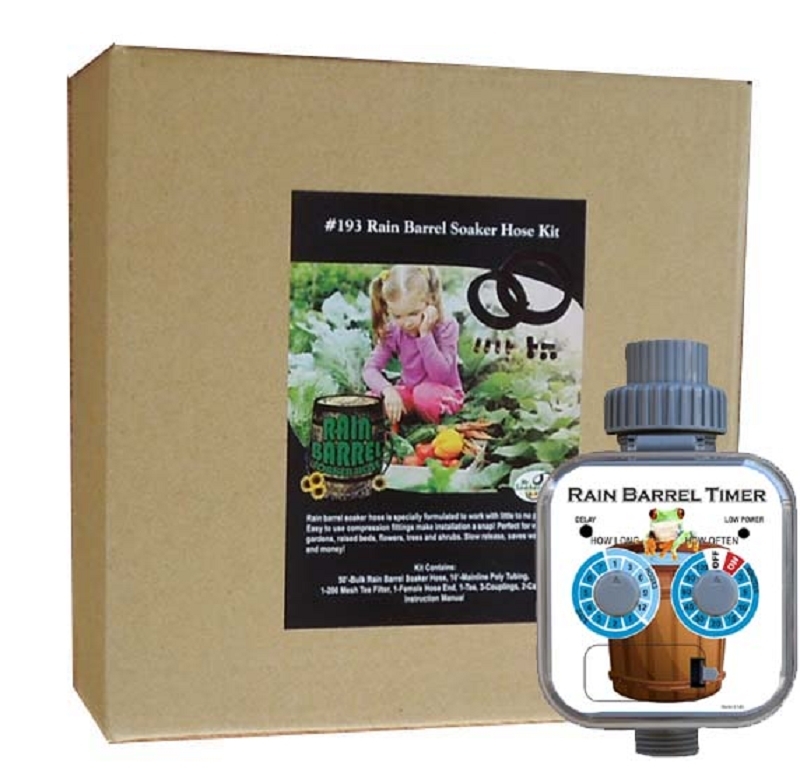 Rain Barrel Soaker Hose Kit with #540 Rain Barrel Timer is the complete kit for rain barrel users, or a gravity irrigation system. 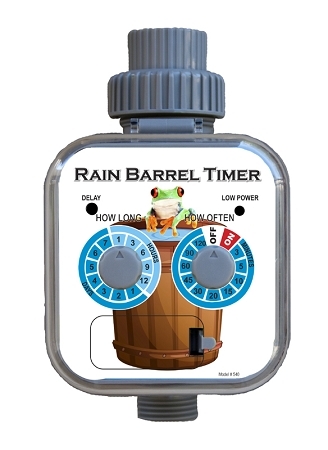 50' Rain Barrel Soaker Hose Kit with #540 Rain Barrel Timer. Everything you need to attach to your rain barrel and water your garden, plants and flowers. 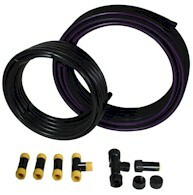 Great starter kit for those of you looking to use this as your gravity irrigation kit to use your rain water. Easily expandable with more hose and fittings.